This Mother’s Day give your Mom a gift that lets her know just how loved she is! A string of pearls is nice. A boutique of flowers is beautiful. Give you mother a gift from the heart, something homemade, something no one else can give her! Give your mom a gift you made with your hands; she will treasure this forever! Not creative? 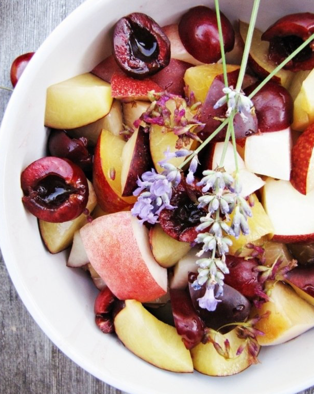 Need some ideas on what homemade gift would be perfect for your mom? 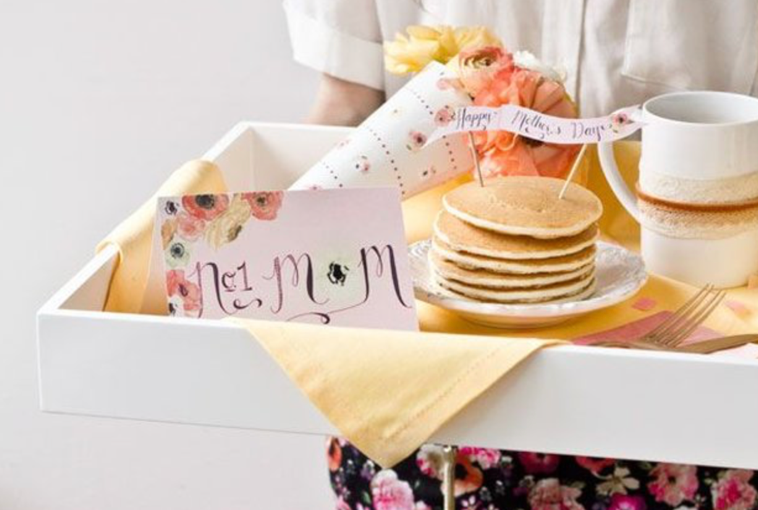 Look no further, here are a few of the best homemade mother’s gifts to surely make your mom, wife or grandmother feel special on their day. To create the picture frame window, put the painter’s tape on the area that you don’t want to be painted. Paint the outside of the jar and immediately remove your tape. You do not want to wait until the paint is dry or else it will be tough to remove the tape. STEP 2: CUT A PICTURE TO SIZE AND ATTACH TO JAR WITH PAINTER’S TAPE. Once you pick the picture you love, tape it on with painter’s tape! The painter’s tape allows you to easily change out the picture in case you change your mind. STEP 3: “DISTRESS” THE LETTERING ON THE JAR. This is an optional step. This just makes it look a little more “authentic.” Take a metal file and scrape off the paint where you want the lettering to show. STEP 4: SEAL THE OUTSIDE OF THE PAINTED JAR WITH CLEAR SPRAY PAINT. The paint will easily scrape off the jar if it is not sealed. This adds durability to the paint, spray it with a clear spray paint. SPRAY OUTSIDE! STEP 5: PLACE PAPER CUP INSIDE JAR TO HOLD FLOWERS. Your picture will be ruined if you fill the inside of the jar with water. 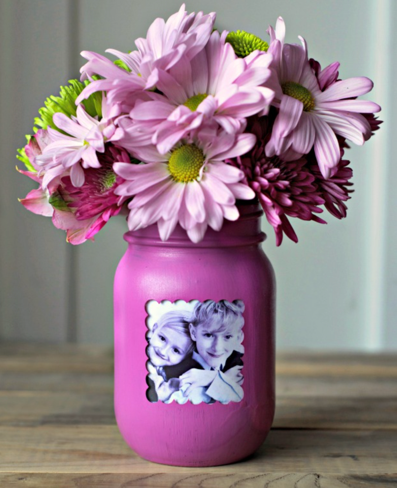 Place a paper cup inside the jar, fill the cup with water, and put your flowers in the cup. Add all ingredients to blender. Tip: When freezing bananas, always slice thin so that they blend easily. 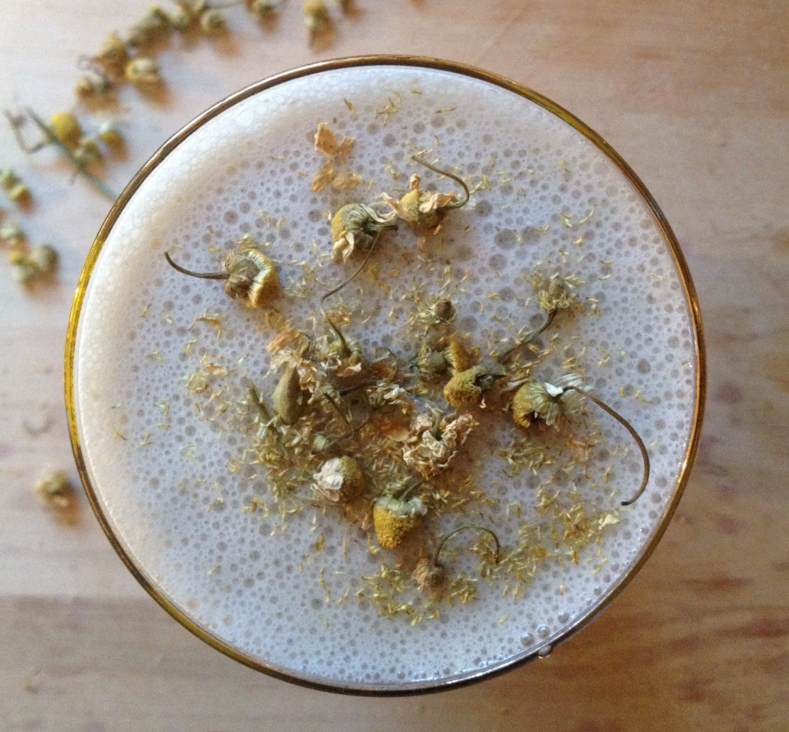 Garnish with chamomile flowers from loose tea. STEP 1: Take the flowers all different shapes, sizes, and color. Pluck the flowers right off their stems, and remove all the leaves and clip off any extra wires. STEP 2: Draw or trace a letter onto a piece of cardboard, cut it out. STEP 3: Start placing your flowers and glue! TIP: Place the big ones first and then use the smaller flowers to fill in the gaps. 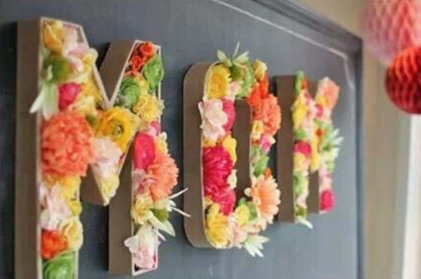 Now decided where to hang your letters to have a banner to celebrate your mom! 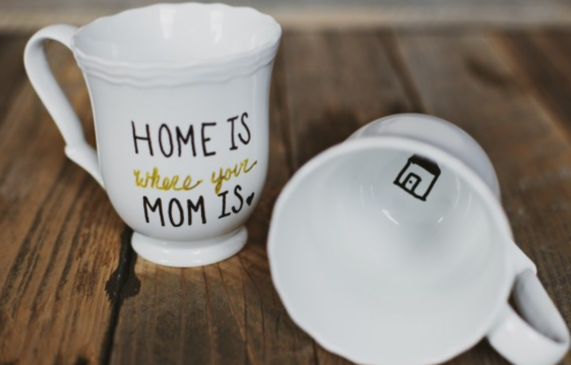 All you need for this quick and fun gift is a white ceramic mug and a paint marker and an oven. First, Wash and dry your mug. Then create whatever sweet text you would like and write it directly on the mug! Let the text dry completely, usually about 8 hours and then bake in the oven at 375 degrees for 40 minutes! Now, mom will have a beautiful handmade coffee mug for all those early mornings she has!